I've always been a last minute shopper when it comes to buying gifts. I'm horrible, I know, but I'm known to put some thought into the gift I give someone. I mainly do my shopping online because of quick shipping options and tons of variety. Shopbop offers free 3-day shipping and free returns within the U.S. and ships internationally as well. Here are some gift ideas for Mother's Day. 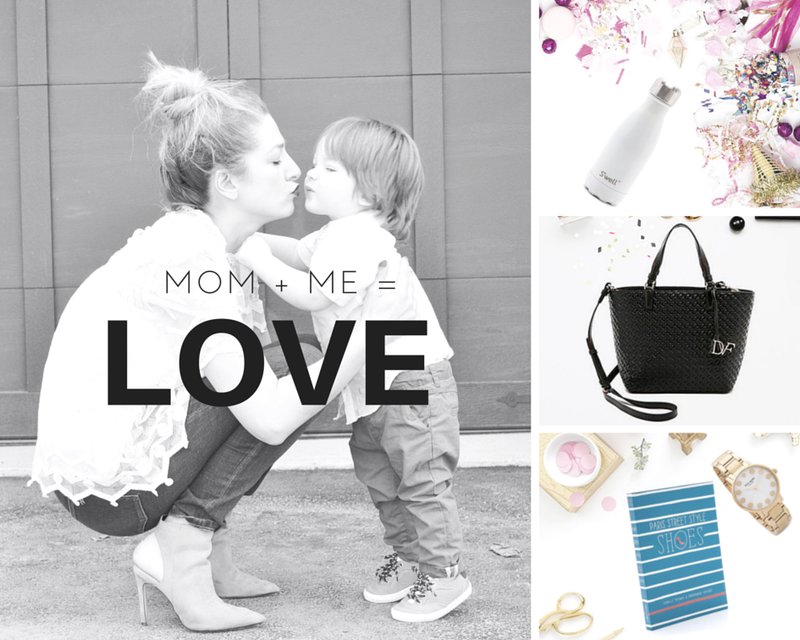 Totes for moms: Like all moms, I'm a mom on the go! A carry all would be a wonderful gift. It eliminates the diaper bag if your still using one and can carry so much without feeling like you have so much on you. I carry snacks, toys, change of clothes, along with all of my must-haves. Shop this Diane von Furstenberg Voyage Embossed Mini Tote and similar totes here. Water bottles: You must be thinking a water bottle as a gift? Why not?! If you're always on the go, you need to stay hydrated. S'well water bottles will keep a beverage cold for 24 hours or hot for 12! It's a must-have for me! What time is it? : I don't know any women, let alone a mom who doesn't love a watch. I have a few and I sure don't mind getting more. I'm always looking to add new models to my collection. What I love about Kate Spade watches, is how playful and colorful they are. I'm hoping to add one to my collection this Mother's Day (hint hint). Reading is cool: I love a good book, especially one that I can use to decorate on my coffee table or office desk. I have quite a few of them and I love adding more. Grow your collection by shopping these books of style and get some fashion inspiration. There are tons of other ideas you can go with, check out these great items, great for the mom in your life! Thanks so much for sharing with Fun Fashion Friday and have a beautiful weekend! That such a sweet pic of you and your baby!